To add a Scheduled Alert via the Family Locator website, view this info. 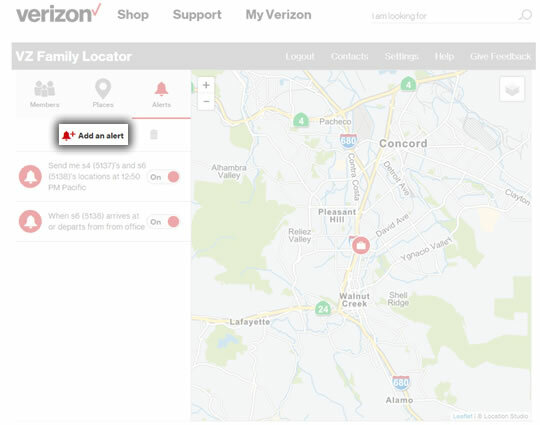 Alert messages sent to email addresses are outside of the Verizon Wireless network and delivery cannot be guaranteed. These messages may be routed to the email client's junk mail folder. A scheduled alert always has an expiration date that is set by the customer when the alert is created. When the scheduled alert expires or is deleted, the history for all past locatees of that alert is no longer shown in the history tab. A notification message will not be displayed in the History tab if the locatee is not found, even when the locator receives an alert. Only the Account Owner or an Account Manager with full online access can perform these steps. Here's some additional information on account roles. 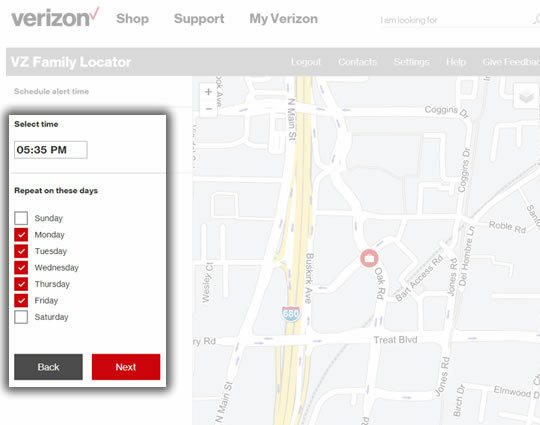 From the My Verizon Home screen, navigate: Plan > Add-ons and apps. From the 'Family Locator' section, click Manage Family Locator. 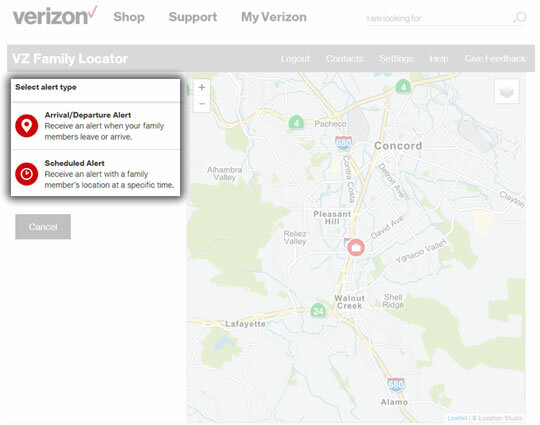 Click Alerts (located on the right in the Family Locator section). Select the days and time for the alert to remain in effect then tap Next.